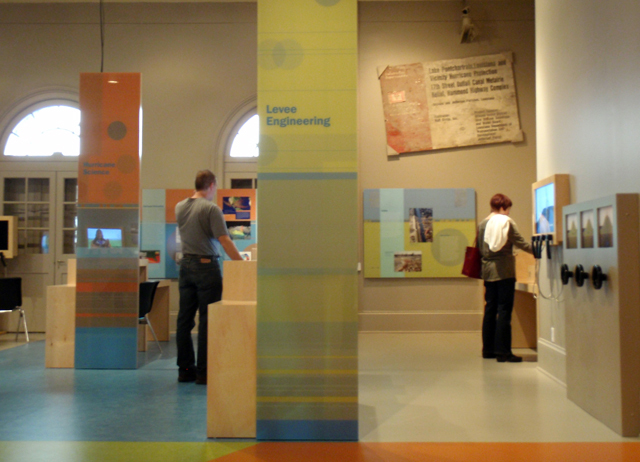 Exhibits cover the nature of hurricanes, Hurricane Betsy and other storms that hit New Orleans in the past, levee engineering, coastal marshes, Hurricane Rita and the full story of Katrina’s impact, from evacuation to flooding to the city’s gradual re-population, rebuilding and recovery. 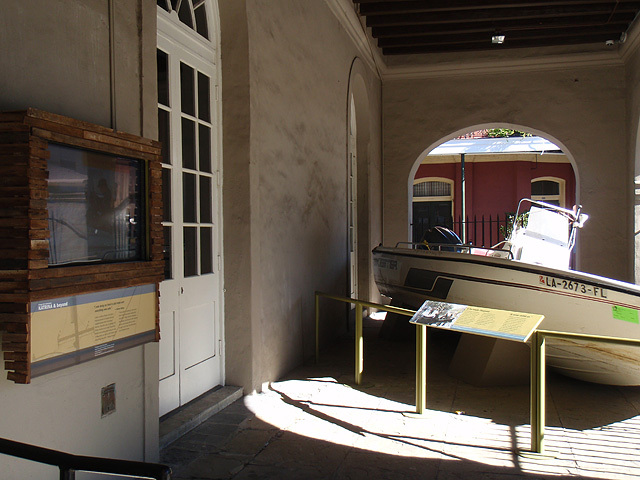 Several Katrina damaged and related objects are on display including Fats Domino’s Steinway baby grand piano, an ax that was used by residents to chop an escape route of out of the roof of their house, sacred objects from a flooded synagogue, seats from the Superdome where tens of thousands took refuge, and a Mid-City garage door covered with the spray-painted markings and messages so ubiquitous after the storm. 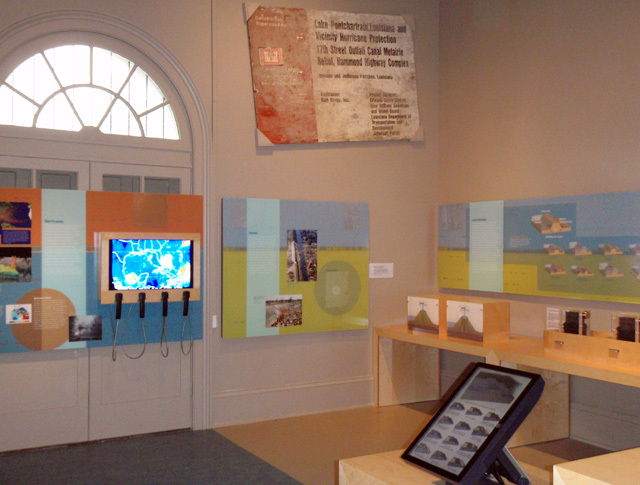 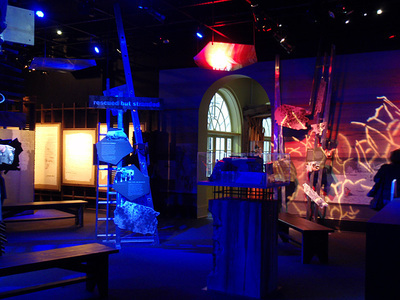 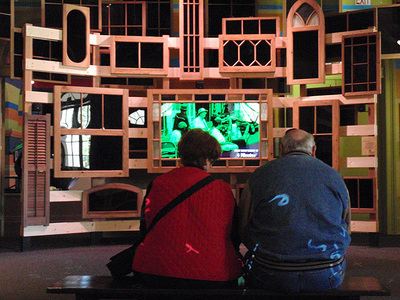 Exhibits incorporate some of the hundreds of oral histories the museum assembled. 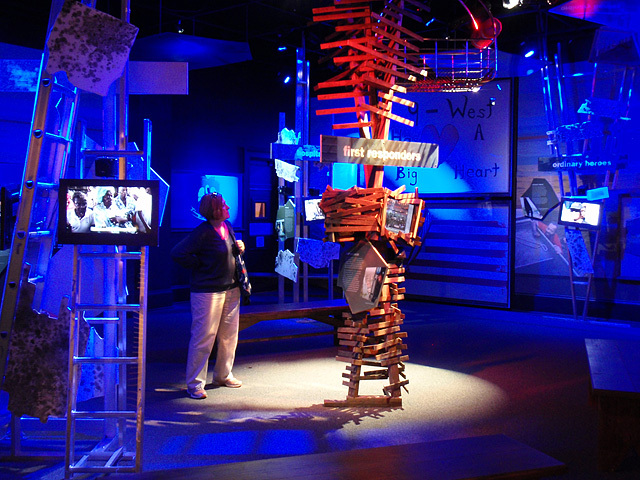 Some of them play while a simulated helicopter hovers overhead, recalling the aerial rescues of stranded residents.